We are obsessed with the cafe racers bikes. The style and elegance they hold while remaining simple and subtle is un-ignorable. 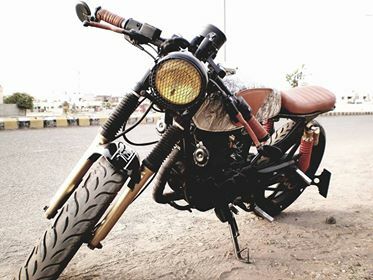 Today we are showing you another cafe racer from Mitul Jethwa of Nilkantha Motorcycles. This time they have used Pulsar 180cc which is super powered with big bore piston into 200cc. 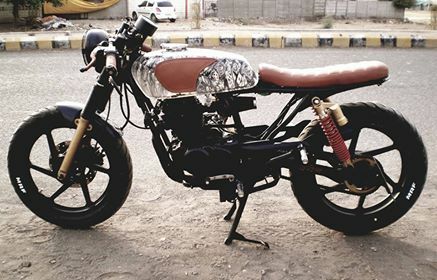 It is custom painted and customised seat is used for this bike. 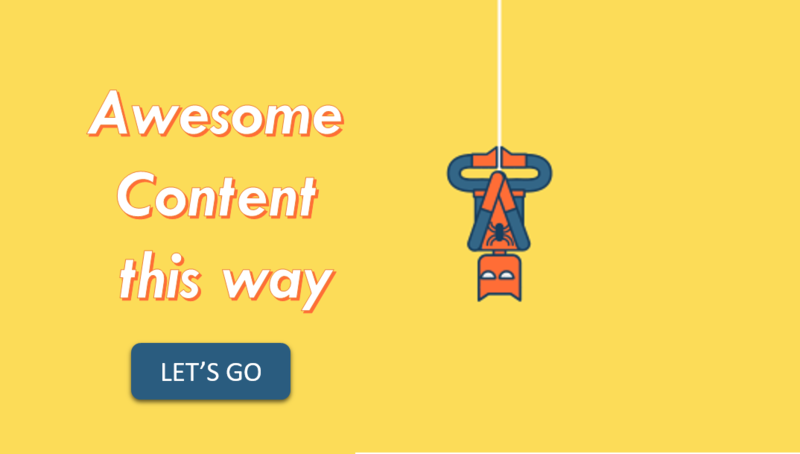 They have done classic retro styling with fully digitalized system. All in one multifunctional Speedometer is used. 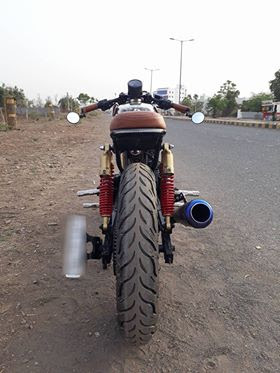 Heavy duty MRF tubeless tyres are fitted in this for better performance. They have fitted improted cafe headlight with yellow lens. Billet aluminium cnc cut Handlebars are used.